A new exhibit at the J.D. Williams Library titled, “‘This Fiery Trial’: An Exhibit on Mississippi and the American Civil War,” features a large collection of Civil War artifacts and documents. 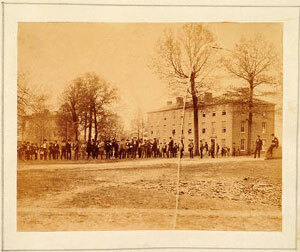 The collection covers many topics including camp life, combat, prisons, slavery, the university and the war, people, hospitals and women in the home front. The exhibit even displays hair jewelry from the era and Civil War medical books. “I think this exhibit is a wonderful way to learn something about a very important part of our history, and one that our state certainly played a major role in and suffered major losses,” said Julia Rholes, dean of university libraries." The exhibit can be viewed in the Faulkner Room in Archives & Special Collections on the third floor of the J.D. Williams Library beween 8 am and 5 pm, Monday to Friday. The Encyclopedia of Arkansas History and Culture describes Jack Butler as, “a poet and novelist known for structurally experimental writing, usually dealing with the development of a religious self-awareness transcending orthodox views.” The son of a Baptist minister, Jack Butler was born in 1944 and moved to Mississippi as a child. He graduated from Clinton High School and then earned bachelor’s degrees in English and mathematics from Central Missouri State College, followed by an M.F.A. in creative writing from the University of Arkansas. Butler has published eight books, including four novels that have appeared in sixteen editions, including one translation in Japanese. He has written nearly 200 poems, many of which have appeared in such publications as The New Yorker, The Atlantic and Poetry. In 1997, Algonquin published his cookbook Jack’s Skillet: Plain Talk and Some Recipes from a Guy in the Kitchen. 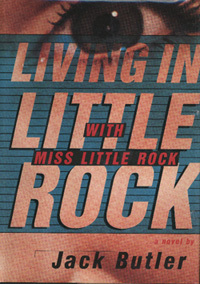 Butler has won a number of prizes and awards, and his third novel, Living in Little Rock with Miss Little Rock (Knopf, 1993) was nominated for a Pulitzer Prize and a PEN/Faulkner Award. The Jack Butler Collection includes correspondence, reviews, speeches, honors, manuscripts, publications, exams, papers, journals, notes, audio and photographs related to Jack Butler's life and career. Open to the public, the finding aid is available online. Come celebrate the 25th anniversary of the Blues Archive by viewing Still Got the Blues: A Silver Anniversary Exhibition in Archives and Special Collections' Faulkner Room, located on the third floor of the J. D. Williams Library. From original record contracts for Elmore James and Sonny Boy Williamson, rare sound recordings by Robert Johnson and Charlie Patton, artwork by Lightnin' Hopkins and James "Son" Thomas and records from B.B. King's personal record collection, this exhibit is sure to have something that appeals to everyone. The exhibit is currently available 8-5, Monday - Friday. For more information contact Greg Johnson at (662) 915-7753 or gj1@olemiss.edu.